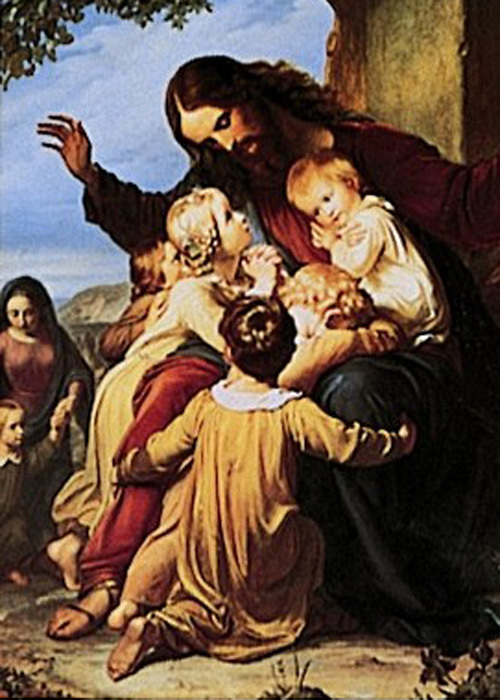 "Today, there is an inescapable duty to make ourselves the neighbor of every individual, without exception, and to take positive steps to help a neighbor whom we encounter, whether that neighbor be an elderly person, abandoned by everyone, a foreign worker who suffers the injustice of being despised, a refugee, an illegitimate child wrongly suffering for a sin of which the child is innocent, or a starving human being who awakens our conscience by calling to mind the words of Christ: 'As long as you did it for one of these, the least of my brethren, you did it for me' (Matthew 25:40)" ( Pastoral Constitution on the Church in the Modern World, 27, Austin Flannery translation). Father Roger Dorcy preached and lived a spirituality of hospitality. One that led him into the greater community to minister to everyone he met. Be it on a board of directors of a community organization, in the celebration of Mass, during the sacrament of reconciliation or in the checkout line at the supermarket. Although he was taken from us before we were ready and he had not seen his dreams come to fruition, we have the opportunity to bring his dreams into reality through the Rev. Roger P. Dorcy Community Project. Father Roger’s dream was to create a Community Center on the South Side of Pueblo that would cater to people of all ages, cradle to grave, through care, mentoring and community. The dream was to acquire land and build a place for youth and adults alike to be embraced in Christian love and celebration. This dream included a place for retired religious to live in community and according to need. This Community Center would also augment and provide for the needs of surrounding Christian communities as needed. The mission of the Roger P. Dorcy Community Project is to achieve Fr. Roger's dream with the help of the Christian Community, grants from the philanthropic community and income from projects spawned from achieving this mission. Patrick Dorcy was born on the 4th of July, 1946 in Omaha, Nebraska. Growing up in a devout Catholic family he started his adulthood being employed by Senator Robert F. Kennedy enterprises in New York from 1967-1969. At the invitation of his brother, he became a member of the Order of Saint Benedict, St. Meinrad Archabbey in Indiana from 1971-1976 where he was, among other things, a volunteer firefighter, paramedic and achitect while he studied and then graduated with a Masters of Divinity from St. Meinrad School of Theology. Father Dorcy was ordained on Jan 29, 1980 at St. Mary Catholic Church in Pueblo by Bishop Charles A. Buswell and took the first name Roger. He was assigned to Sacred Heart Church in Alamosa, as associate pastor. In 1983, he was assigned to serve as co-pastor of Sacred Heart Parish. He was also appointed to serve as a prosy nodal judge and defender of the bond for the Matrimonial Tribunal of the Diocese of Pueblo. He then became pastor of Sacred Heart Parish on January 1, 1985. Two years later Father Dorcy was asked to serve as Associate Pastor at St. Leander Parish in Pueblo and later was assigned to serve as Associate Pastor of Our Lady of Guadalupe in Pueblo. 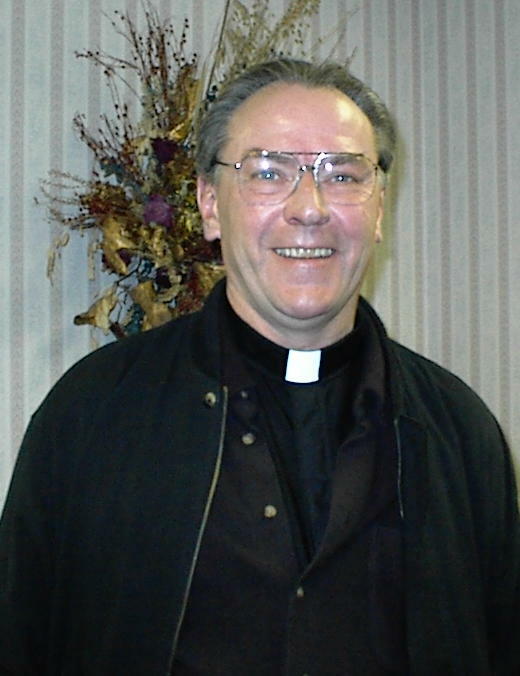 Father Roger became pastor of Our Lady of the Meadows in 1991,and served as a member of the Diocesan Liturgical Council and Dean of the Pueblo Deanery. In 2001, he was appointed to serve as a member of the Presbyteral Council and assigned to serve as co-chair for the 2002 Southwest Liturgical Conference. On February 13, 2002 he was appointed to serve as Rector of the Cathedral of the Sacred Heart Parish. On March 7, 2004 he was appointed as a member of the Diocesan Liturgical Council of the Diocese of Pueblo. Father Roger celebrated his twenty-fifth anniversary of ordination to the priesthood on Saturday, May 28, 2005 by concelebrating Mass with Bishop Arthur N. Tafoya at the Cathedral of the Sacred Heart. He was a member of the National Association of Clinical Pastoral Ministers, the Federation of Diocesan Liturgical Commissions, the Southwest Liturgical Conference, the National Catholic AIDS Network, and the Southern Colorado AIDS Project. He served on the Board of Directors of the St Mary Corwin Hospital and Sangre de Cristo Hospice, both in Pueblo. Rev. Roger P. Dorcy, 59, was killed in a car accident on Saturday, July 23, 2005.